Solar Energy International is a non-profit educational organization focusing on present industry-leading technical instruction and experience in renewable energy to enable individuals, communities, and companies globally. Solar Energy International was founded in 1991 as a nonprofit educational organization.Through years, trends and technology come and go, however, SEI’s mission is still identical now as it was when they started: to empower people around the planet through the instruction of sustainable practices. As we approach our next decade, what motivates us is the understanding that we are helping make a difference. Renewable energy sources of solar energy, wind and water may enhance the quality of life and promote sustainable growth across the world. Renewable energy systems are functional, dependable, cost-effective, and healthy for people and the environment. During the Renewable Energy Education Program (REEP), SEI provides hands-on instruction and online classes in solar PV, micro-hydro and solar hot water. SEI works cooperatively with grassroots and development organizations in the Americas, Africa, Micronesia and the Caribbean. SEI employees have delivered solutions to the Pan American Health Organizations, Non-Governmental growth associations (NGOs), foreign, state and national authorities, universities, and people seeking the advantages of renewable energy.Please service SEI’s outreach initiatives by linking the SEI Alumni and Friends Association. 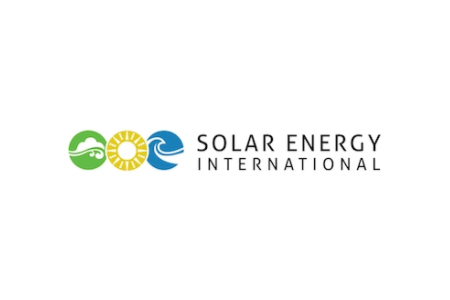 Solar Energy International is a 501(c)(3) Equal Opportunity Institution and Employer and isn’t connected with any trader, manufacturer, distributor, or some other renewable energy industrial venture.